After a fantastic premiere, Deep Space Nine's third season continued to exhibit new confidence as the show boldly embraced its dense, clever and gripping mythology. Nowhere is that more clear than in the franchise's very first double-length installment without Part I and II subtitles, Improbable Cause and The Die is Cast. 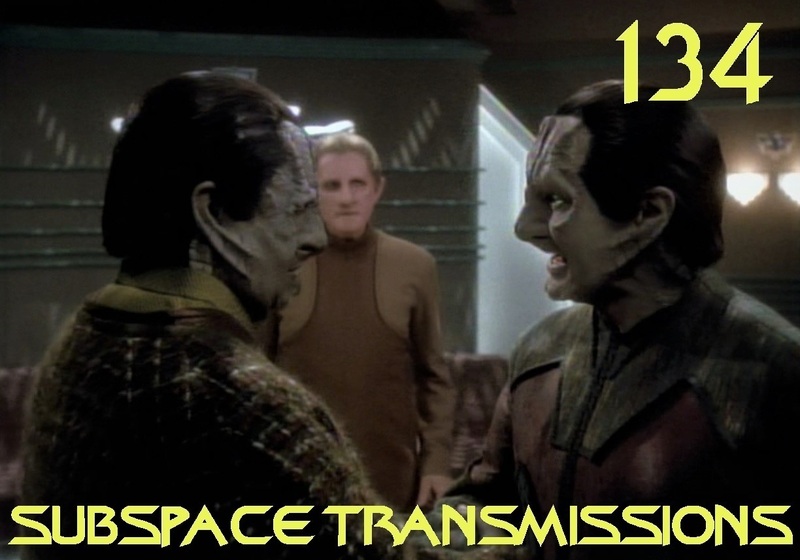 This week hosts Cam Smith and Tyler Orton channel their deep, enduring adoration for sly tailor Elim Garak as they tackle one of the crafty Cardassian's most insightful and morally complex showcase stories. In addition to plenty of Garak, Odo and Dominion talk, the duo also continue to debate the shady tactics of Starfleet admirals, rank the franchise's three shadowy intelligence agencies and stumble onto an intriguing, albeit extremely dubious, link to Batman Begins. Wanna appear on the show? Shoot us a 30 to 60-second audio clip telling us your thoughts on IMPROBABLE CAUSE & THE DIE IS CAST and you could take the spotlight in an upcoming program! You can also send any other questions, topic ideas or feedback to subspacetransmissionspod@gmail.com! Join us next week as we take a second amused look at Trek's best worst episodes. #133 - TALKIN' ABOUT TELLARITES!